The benefits of coconut oil are being studied in research centers all over the world right now, and new uses are discovered all the time. Because of these studies, companies are beginning to produce organic coconut oil, now recognized as one of the best massage oils for bodywork therapy. Benefits of Coconut Massage Oil! Coconut oil has been consumed in tropical climates for hundreds of years, and many studies are showing that the people who have used it have longer lifespans than those in Western cultures who rarely use the oil. Benefits include the oil's ability to greatly moisturize all skin types. It is also one of the best massage oils for clients with psoriasis, eczema, dermatitis and other skin disorders, as it helps to calm and soothe inflamed tissue. Some recent studies have shown great improvement for folks who have Alzheimer's and dementia. Reports indicate people improve or even reverse the effects of Alzheimer’s by using coconut oil. According to the TipsBulletin, coconut oil can be beneficial for those who are struggling with poor digestive health,, hormonal imbalances, low energy levels, obesity, slow metabolism, Alzheimer’s, dementia, inflammatory conditions, and diabetes. 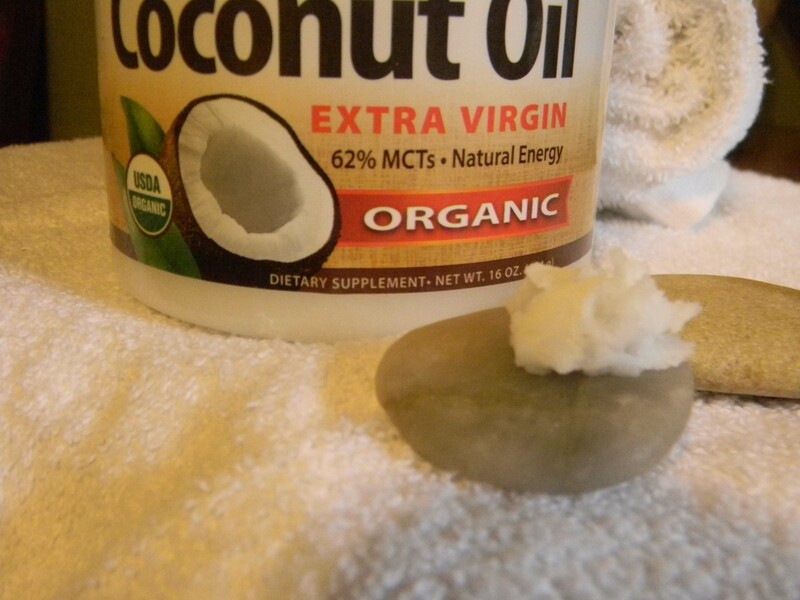 Some Pacific Islands consider coconut oil to be a cure to many ailments and disease. Coconut oil supplements are now sold in most health food stores, and many people take them daily to help skin, hair, nails, teeth and to suppress appetite. Extra Virgin Coconut Oil is made from certified organic coconuts that have not been treated with chemicals or fertilizers. It is one of the best massage oils for reducing skin irritations, especially for conditions like eczema and psoriasis. This is a very light oil in texture. When used in massage, it takes very little to do a full-body massage, so one of the benefits of coconut oil, used as massage oil, is that it lasts forever.